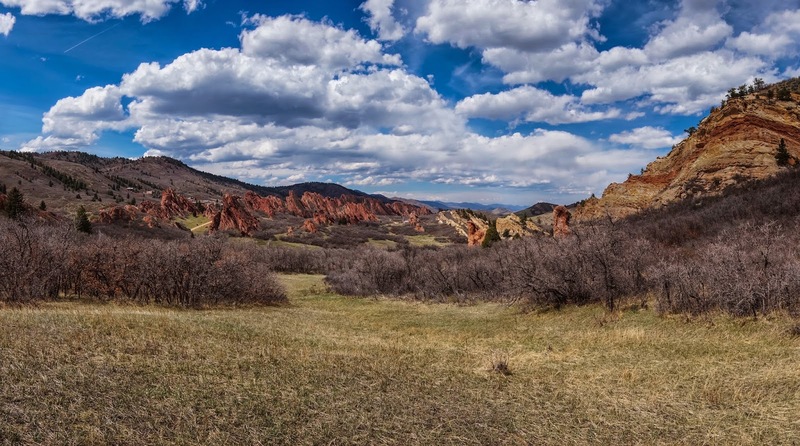 Roxborough State Park is a red rock wonderland south of the more famous Red Rocks Park & Amphitheater. It is part of the Morrison formation which forms the geologic basis for the front range foothills' red rock fascination. Similar to Red Rocks, Garden of the Gods, and South Valley Park, the trails take you amongst the formations and up into the foothills to look down on the otherworldly landscape. The park has a nice visitor center, well maintained and marked trails, and is fun for adults and kids alike.